Women in Sierra Leone face all sorts of obstacles when it comes to setting up their own business. A combination of cultural prejudices and harsh economic realities join hands, in making life particularly difficult for our ladies. 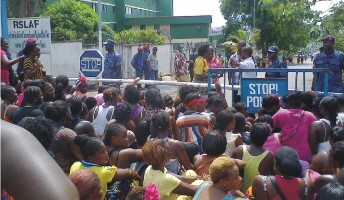 (Photo: Market women protesters in Freetown). 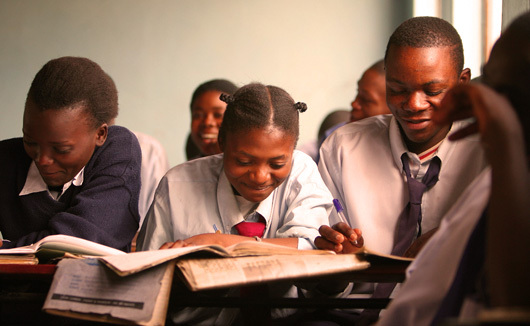 Some of the numerous barriers and constraints which make it difficult for women to do business in Sierra Leone include: limited access to finance, social inequality, entrenched cultural and traditional practices, socio-cultural prejudices, restricted access to educational technology, legal obstacles and institutionalised ignorance. Despite years of gradual progress, the challenges Sierra Leonean women face remains herculean, and the obstacles are still formidable. Across society, there are various kinds of long-established barriers that have gradually grown into entrenched attitudes, which are now practically accepted as the law of the land. As the country seeks to catch up with the rest of the world economically, most of these barriers are going to have to come down if the Sierra Leonean economy is to expand. With more than half of the country’s population accounted for by women, having 50% of the workforce incapacitated in this way, is likened to working with one hand tied behind the back. These include registration of business names, obtaining licenses, adhering to statutory requirements and contracting. Due to the aforementioned factors, women entrepreneurs are the least prepared to engage in contractual processes, which are key to doing business in Sierra Leone. Contracts requiring complex technical processes – such as drawing up terms and conditions, legal representation and other aspects which place the woman entrepreneur in a disadvantaged position. Most small and medium enterprises (SMEs) find these processes lengthy and time consuming, thus they cannot grow or expand. 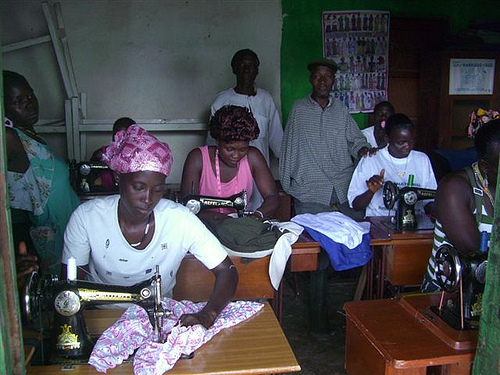 In Sierra Leone, the educational level of most women entrepreneurs is very low. This creates a barrier to accessing training and other business development services. Many Sierra Leonean women come from disadvantaged social backgrounds and are not well informed about the requirements of formal business processes and operations, and therefore fail to take full advantage of available opportunities. Financial availability and accessibility is cited in many studies as being one of the major barriers and constraints to business start-up and growth. 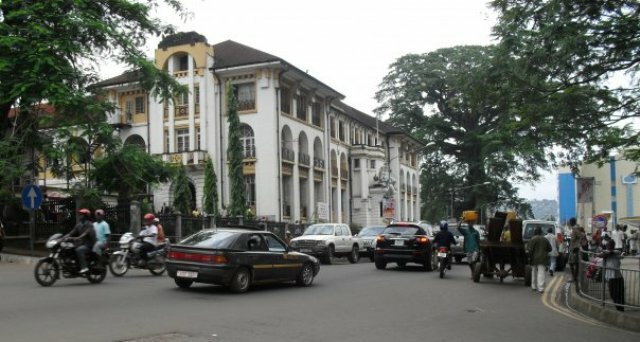 In most cases the factors that inhibit enterprise development in Sierra Leone – especially for women, include the overall lack of start-up capital, inadequate awareness of existing credit schemes, high interest rates, lengthy and complex procedures for loan applications, and a lack of collateral for obtaining credit finance. In a rapidly changing world, any society or country that offers very low access to information and communication technology (ICT) cannot compete. Technology has to be suitable and appropriate for the environment, culture and level of development. In Sierra Leone, there is a general lack of appropriate technology for entrepreneurs to function and succeed. There is a general lack of an entrepreneurial culture in Sierra Leone, a country where the available labour force is generally classed as low skilled or unskilled. 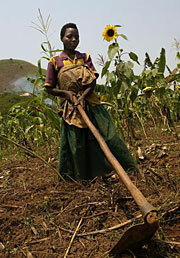 Many women are income poor, yet have to provide for their families. Competing financial needs between family and business has become one of the major constraints to enterprise start-up and growth. With many women being poor, the little income earned from any business that they are running, is sometimes used for what appears to be urgent family requirements, irrespective of why it was set aside. This can adversely result in a reduction of their personal investment capital, and hence curtail the potential of the business to grow. In Sierra Leone, family and marital status dictate the ownership of assets and property in favour of men. Culturally, ownership of land and fixed assets is the man’s domain. 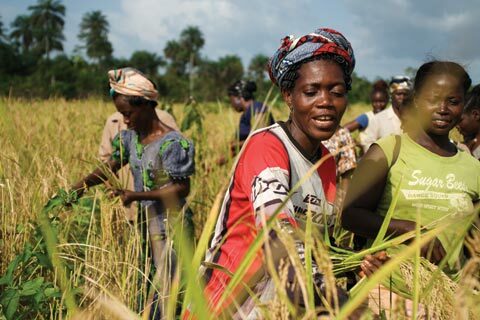 Access to and ownership of land by women is therefore an important factor in poverty alleviation and entrepreneurship, as it impacts on the availability of collateral for loans and other financial needs. To overcome these obstacles, several drastic steps need to be taken, including the establishment of a development bank to cater for the SMEs with accent on women enterprise. The government of Sierra Leone must establish Regional Development Agencies (RDAs) with departments responsible for women issues. In addition, the country needs to enhance and improve the capacities of the technical training institutions to improve the skills base and establish best practice. There is also a need to lobby and campaign for better economic and social policy implementation by the government. Success in implementing such radical reforms, however, will require single-minded determination on the part of the government. It requires a political leadership prepared to defy the status quo and implement an unpopular set of policies with long-term goals, which the majority of the population may not appreciate in the short-term. But if they are to succeed, some sort of sensitisation campaign would have to be launched prior to their implementation, in order to educate the people about the long term benefits of such actions. With over 50% of the country’s population accounted for by women, it is suicidal and indeed tantamount to a waste of resources to ignore the potential of women in any attempt to move forward economically. There is some hope the government would be brave enough to bite the bullet and take the necessary steps required, in order to bring gender equality laws and regulations up to scratch and in line with international norms. This not a cosmetic luxury, but an absolute necessity that is compulsory to enhancing Sierra Leone’s economic growth. Zainab is currently working on a Gender Development Programme. She is a Public Health Trainer and the CEO of Community Health Initiative Empowerment Foundation (CHIEF). She is also a Founding partner of VOSL. She has a BA degree in Business and Marketing and a postgraduate degree in International Development Management. Zainab has worked extensively in private, public and voluntary sector areas across UK in Senior Management positions (non-profit sector). Zainab currently serves as a Chairlady and Trustee on the Board of the Greenwich Inclusion Project, as well as AFRUCA – Africans Unite against Child Abuse (UK). She is also a Board Member of Teach For Sierra Leone and Greenwich Black and Minority Ethnic Forum. Furthermore Zainab is the Director of Marketing and Gender/ Children Editor for Voices from the Diaspora Radio Show.